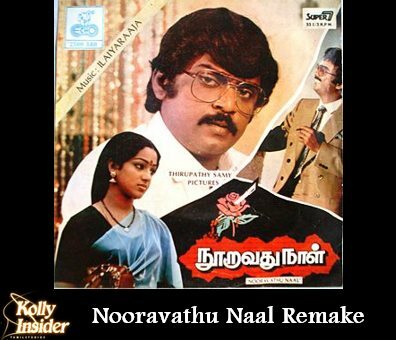 Late director-actor, Manivannan’s son Raghu Manivannan, will be remaking his dad’s super hit film, Nooravathu Naal. Revealing the first look of this film, Raghu has throttled up the pre-production work to get the film on to the floors in April this year. Disclosing details of his film, Raghu says, "It is true. I intend to make a film that will be a reboot of my dad's hit. The film's plot will be changed slightly as will certain characters in the film." While the original film starred Vijaykanth, Sathyaraj and Nalini, the one that is to be made by Raghu will feature actor Natraj of Sathuranga Vettai fame as one of the heroes. "We are in the process of finalising the other members of the cast," says Raghu. Raghu has said that his film will not be an exact replica of his dad’s film, but he has made some very important changes to the story and script. "The primary difference will be in the message. We are looking to add another contemporary fact to the concept that was put out by the film made by dad. ", he added. The debut director is expected to announce his complete star cast soon. He has, however, roped in Niro Praba, who had worked with AR Rahman, to compose the tunes for the film.